March 20th -- Spring begins! Unwanted and outdated pharmaceuticals pose serious safety and environmental threats, ranging from child poisonings and illegal use to contamination of our streams and drinking water. Take time to go through your medicine cabinet and get rid of outdated and non-used medicines, especially pain medications. Pick up a free Meds Away pouch at our pharmacy this week to use for the safe disposal of these medications. Getting rid of these medications from your home is one of the first steps toward curbing drug abuse among teenagers that can lead to the abuse of opiates. Also, if you have small children in the house, make sure to pick up some stickers/magnets with the Poison Helpline phone number on them (1-800-222-1222) to place around your home. This helpline can provide you with immediate assistance for accidents with chemicals, medicines, or household items. However, if someone is unconscious or not breathing, always call 911. Winter is almost over and our thoughts are turning to Spring Break and Allergies! We have all of this year's sunscreens in stock and ready for you to pick up before you head out of town on those Spring getaways. Buy your sunscreen before you leave on your trip, you will definitely save money by doing this as the vacation hot spots will charge you a premium for buying your sunscreen once you arrive at your destination. If you have sunscreen left over from last year, check the expiration date on the bottle or tube. Suncreen's do expire, and you want to make sure that yours is in date and to offer you the best protection. Remember to pick up a lip balm with sunscreen also. A couple of popular lip balms that contain a sunscreen are Neutrogena and Cotz. Don't forget to pack pain relievers too, such as acetaminophen or ibuprofen, and an antidiarrheal such as Imodium--you can't beat the price at home and you will be prepared when you need them! Soon enough we will be talking about allergies. 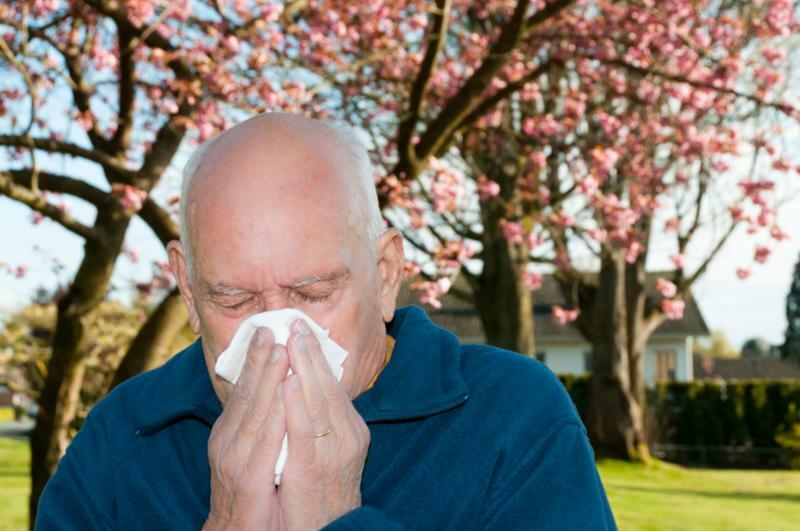 Make sure you have antihistamines on hand such as Claritin (loratadine), Zyrtec (cetirizine) or Allegra (fexofenadine). We also have D-Hist in stock which is a natural alternative to taking antihistamines. D-Hist works by preventing the release of histamines in your body. Therefore, you don't experience the common allergy symptoms that histamine release causes such as itchy eyes and watery noses, and you won't need an antihistamine which many people find causes them sedation and dry eyes and mouth. D-Hist is made by Ortho Molecular and is located in our premium vitamin section. If you have any questions about D-Hist, make sure you talk to our pharmacist, Chris--she has been taking D-Hist since we started carrying it last June and has been very pleased with the results. Also for allergy season, we have available the over-the-counter nasal sprays: Flonase and Nasacort (available in the same strengths as the prescription versions). Many insurance companies have stopped covering these medications as prescription items since they are now available over-the-counter. These nose sprays work well for any nasal congestion that you have associated with allergies, and they are safe to use every day, unlike Afrin or Neo-Synephrine , which should only be used for a maximum of 3-5 days. People also find that using a sinus rinse daily either with a Neti-pot or a rinse squeeze bottle helps them control their congestion associated with allergies since the sinus rinse rinses away mucous and allergens. We carry the popular Neil-med and Leader versions of sinus rinse. Center Drug has all the candies in stock that you will need to fill your Easter Baskets this spring. But, in addition to candy, every Easter basket should include healthy items such as: vitamins, lip balm, hand sanitizers and toothbrushes. Some other non-candy ideas would be: small toys, bubbles, color crayons and color books. We have a wide selection of these items in the store and most of them are priced at $1.00. We also carry Zollipops! The clean teeth pops. These lollipop's are gluten-free, sugar-free, vegan, kosher and non-GMO. They are naturally flavored and colored and best of all--they taste great! All of our employees have tried them and everyone gave them a thumbs up! Buy a bag to include in your Easter Baskets this year! Are we friends on Facebook yet? Do you get our updates on twitter? If not, please follow. like and share soon. It's the best way to keep up to date on all the great things happening around the store. We're also looking to get more feedback and reviews on Facebook. We would greatly appreciate it if you could spare a few minutes to give us a review. We've got a new app! If you use a smartphone or tablet and would like another way to refill your prescriptions then please download it today. Thank you and we'll see you soon on facebook! Mark your calendars; Easter is April 1 st this year (no joke). 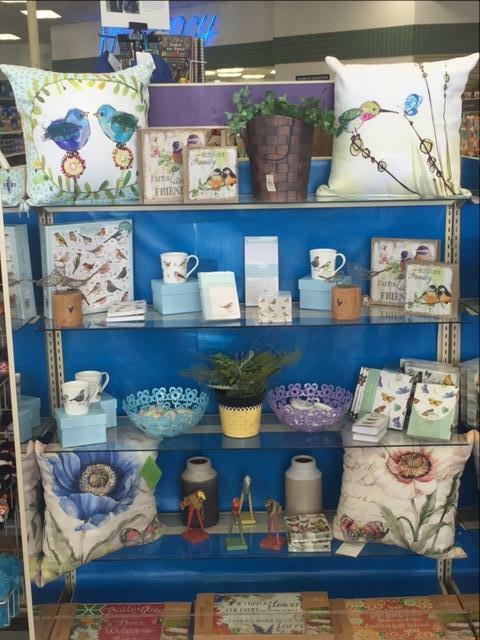 So hop on in and see all our wonderful Easter goodies. 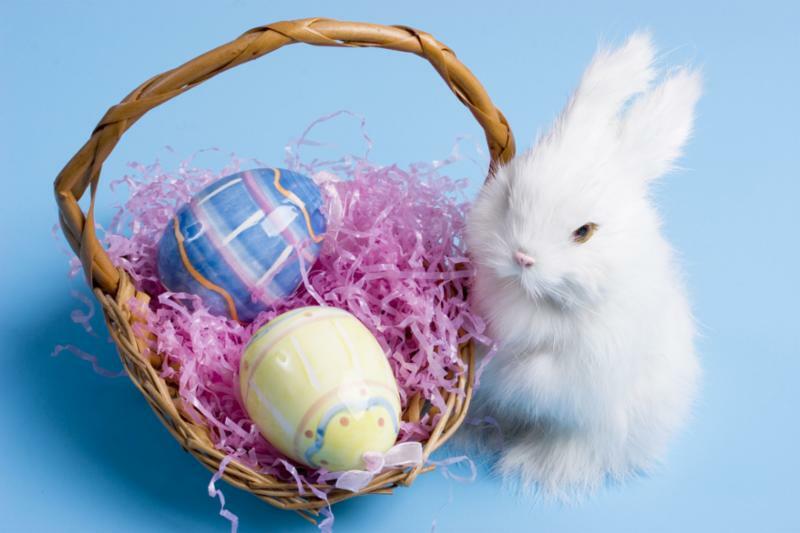 We have Easter décor, Easter gifts, and all sorts of fun Easter novelties to fill up Easter baskets. We also have a large selection of Easter cards. Get in early for the best selection. Click the button below to get the current gift department coupon from our website. Click here to get current gift department coupon from our website.